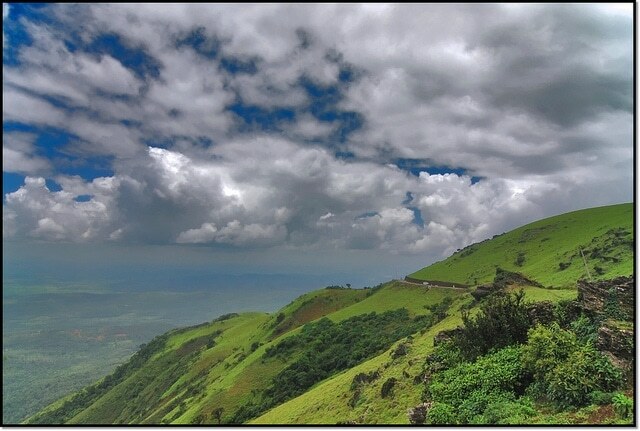 Of the many hill stations in Karnataka, Chikmagalur is undoubtedly one of the most popular spots. During summer months, the place sees many tourists visiting the place. The place offers so much variety that a visit to the hill station will be one of the most memorable trips of your life. There are the hills of Western Ghats, lush green vegetation, the coffee estates and so on. It is also referred to as the coffee hub of Karnataka thanks to the beautiful coffee estates. There are also pilgrimage centres, wildlife spotting and even plenty of opportunities for adventure sports. When you visit Chikmagalur, of the many spots, there are 5 must-visit places, as listed below. 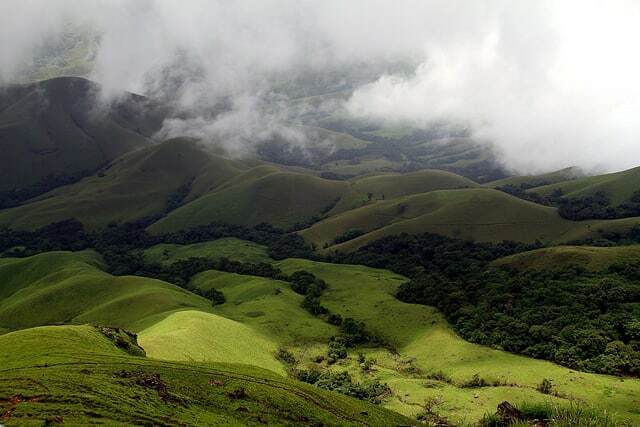 The mountain ranges of Kudremukh were made into a national park in 1987 to protect the wildlife of the region. Kudremukh means the face of a horse and is named so because the Kudremukh hills look like a horse’s face. 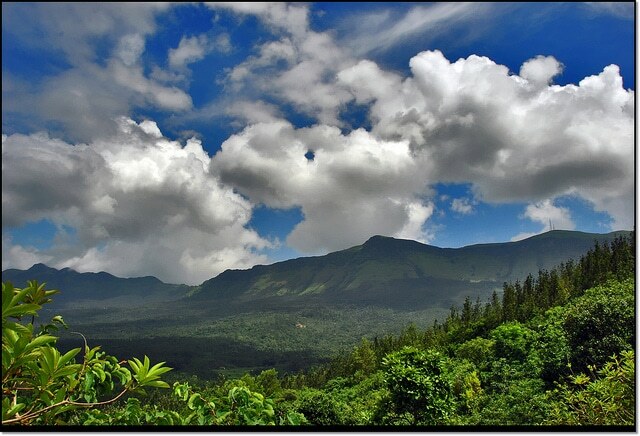 The 3rd largest peak in Karnataka, Kudremukh offers a great view of nature with its greenery and wildlife combined. There are numerous trails surrounded by scenic nature and thus offers a variety of trekking options to adventure enthusiasts. The trails that pass through riverbeds and the thick forests can be pose challenges, but for those who love adventure, this is a perfect trekking experience. Trekkers will have to take the help of local guide and prior permission from authorities. Named after a sufi saint Baba Budan, it is the second highest peak in the state. A sight to behold at the peak is the Chandradrona Parvatha Shreni or the crescent moon mountain peak. It is the point of contact between Baba Budangiri peak and the Mullayanagiri peak and resembles the shape of crescent moon, hence the name. You can also visit three caves here which are actually the tombs of three saints. It is also thus a popular pilgrimage centre. Both Hindus and Muslims visit Baba Budangiri to pay respects to these saints. Situated between the Himalayas and the Nilgiris, Mullayanagiri is the tallest mountain of the region and it is also the highest peak in the state with a height of 1,930 m. When you stand at the top and look around, you can view a breathtaking scene. It is a magical feeling to see the world from such a height and that too, an amazing view of the scenic beauty that surrounds the peak. Mullayanagiri is also a favourite destination for trekkers and many trekking enthusiasts visit the place for its amazing experience. The trekking to Mullayanagiri can be a little tricky and challenging as you will have to face strong winds that seem to be increasing at each gradient as you climb. Watching gushing waters fall forcefully is something that every nature lover will adore and that is why a visit to Hebbe falls in Chikmagalur is something you should not miss. There are two phases in which the Falls have been divided into, one is the Big Falls referred to as Dodda Hebbe and other is the smaller Fall called as the Chikka Hebbe. With aromatic coffee plantations and lush green vegetation surrounding the Hebbe Falls, it is a great place to enjoy a lovely picnic with family and friends. 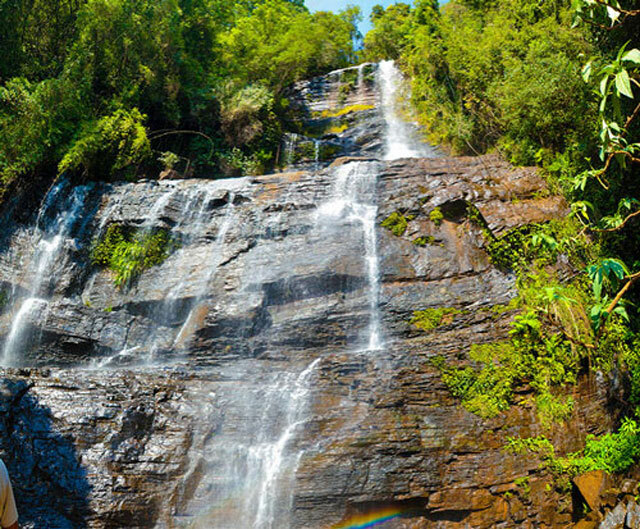 You can reach Hebbe Falls either by taking a vehicle or by a trek that lies at a distance of 8 kms. You start the trek at Kemmagudi. Since it is during the rainy season that Hebbe Falls can be found in their superb glory, that is the best time to visit it. Situated near the Bhadra River which flows through it, the Bhadra Wildlife sanctuary is most suited for spotting a variety of wildlife as it is home to many species of both flora and fauna. Since it is also a protected tiger reserve, you may also get to spot some majestic tigers at the sanctuary. You can also get to see many species of birds and reptiles as well. Another sight that could captivate you are the abundant trees ranging from teak, rosewood and more. The sanctuary offers wildlife safaris for visitors, which is a great way to enjoy nature while spotting many wild animals and birds in their natural habitat. Bhadra Wildlife Sanctuary is also known as the Muthodi Wildlife Sanctuary which refers to the village located on its side. It is not just birds and animals that attract tourists, but a variety of butterfly species too can be spotted at the sanctuary. No wonder, it is a very popular place for biologists and nature lovers alike. 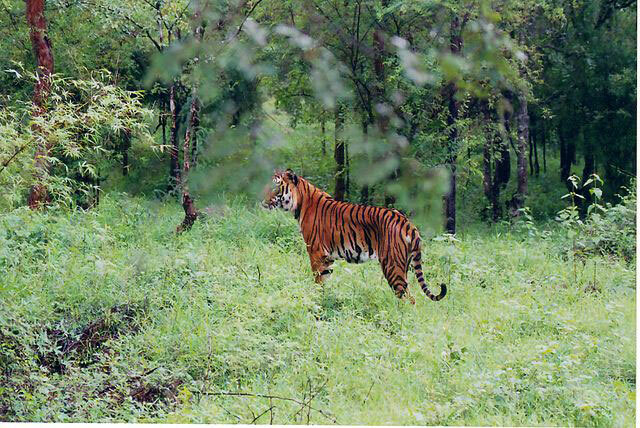 October to February is the best time to visit the Bhadra Wildlife Sanctuary.